I have not discussed objects identified from the Medici Dossier now in one major North American museum during 2014. However it is likely that the collector and museum will be named in 2015. 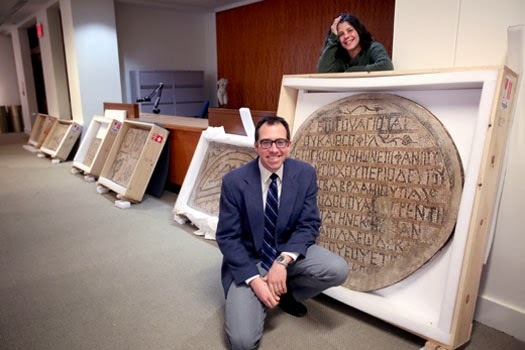 However Christos Tsirogannis discussed the collecting history of a Paestan krater that had been acquired by New York's Metropolitan Museum of Art. I wondered if material would be returned to Italy from Copenhagen and the Museum of Cycladic Art (Goulandris Collection). But still no movement. LM has reviewed the collection at Fordham University and in particular the collecting histories of the antiquities. We noted that Fordham had hand to relinquish title to a Villanovan hut. Fordham also acquired some Christian mosaics that appear to come from the Near East. The collection also contains a Roman imperial bronze apparently derived from the Sebastaieon at Bubon in Turkey. I continue to note the issues surrounding the sale of antiquities on the market. There has been no movement on the Koreschnica krater, the Icklingham bronzes, the Minoan larnax in the Michael C. Carlos Museum, and the SLAM Mummy Mask. However, a detailed study of the acquisition of the Ka Nefer Nefer Mask was published in the Fall Number of the Journal of Art Crime (2014). This is likely to prompt renewed questions of SLAM. However part of the Sevso Treasure was purchased by the Hungarian Government. Lydian stelai were returned from the US to Turkey. And a Cycladic figure returned from Karlsruhe to Greece. Nor should we forget the coins sent to Greece from the collection of a Rhode Island medic, or the Shiva sent back from Australia to India. Transparency relating to the Bothmer potsherd collection continues to be an issue. However some of the issues will be addressed in a forthcoming article (with Christos Tsirogiannis) in the International Journal of Cultural Property. All continues to be quiet about the planned symposium on the Cleveland "Apollo". Heritage Crime continues to be a major issue in England and Wales. And there continue to be muted responses from members of the Portable Antiquities Scheme. The so-called "Crosby Garrett" helmet went on display at the British Museum. (I published an extended essay on the helmet in the Journal of Art Crime.) The problem of "nighthawking" was highlighted by the opening of a small exhibition of finds from Rendlesham in Suffolk. And the English Heritage site of Eynsford Castle was damaged by such activity. And of course the BBC produced a so-called comedy on Detectorists (in Suffolk). Issues about the reliability of information for objects documented by the Portable Antiquities Scheme was raised by a fellow curator at the British Museum. We noted the theft of part of a fresco from Pompeii. There were interesting issues raised about the collecting history of the Sappho Papyrus. The MOU between the US and Bulgaria was signed. Museums have been selling off part of their collection. In England it was the case of the Northampton Museum and the disposal of an Egyptian statue. This had serious implications for the museum's funding. The St Louis branch of the AIA was also selling off material. 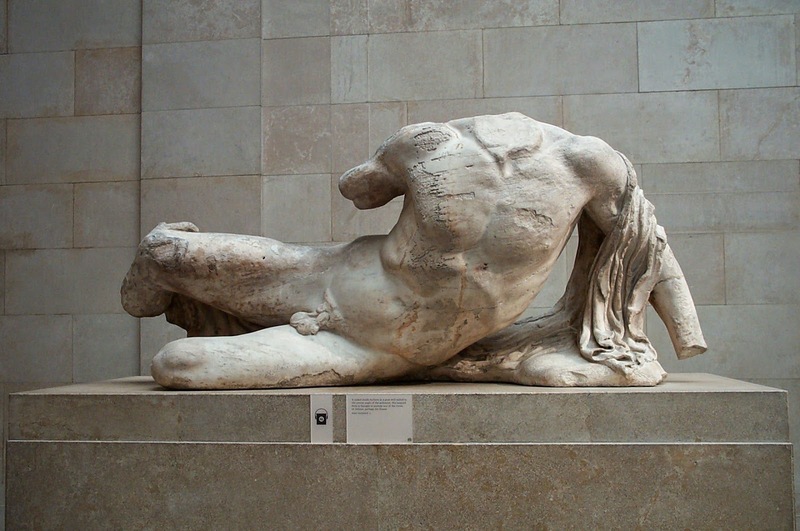 Meanwhile the British Museum decided to loan a pedimental sculpture from the Parthenon to Russia. Finally there has been the extensive looting of archaeological sites in Syria.